Nokia is all set to launch a tablet in 2012 and has its sights set on a June launch. This is according to one of the company's execs based in France, who was speaking to newspaper Le Echoes about the tablet and revealed the launch date and that it would indeed be packing Windows 8. The short but snappy statement from Paul Amsellem said: "In June 2012, we will have a tablet that runs on Windows 8." This tidbit of tablet info comes just weeks after Nokia head honcho Stephen Elop also revealed that Nokia was looking to release a tablet that took advantage of the "new tablet opportunity coming". Putting our glasses on and reading between the lines, we're guessing that Elop is also referring to Windows 8, the tablet-focused OS that's currently being fine tuned by the folks at Microsoft. 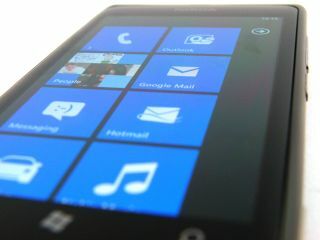 Nokia will be hoping that this week's release of the Nokia Lumia 800 puts consumers in the mood for a mobile version of Windows. After having quite a significant play with the handset for our Nokia Lumia 800 review, we can say that it's definitely a step in the right direction.